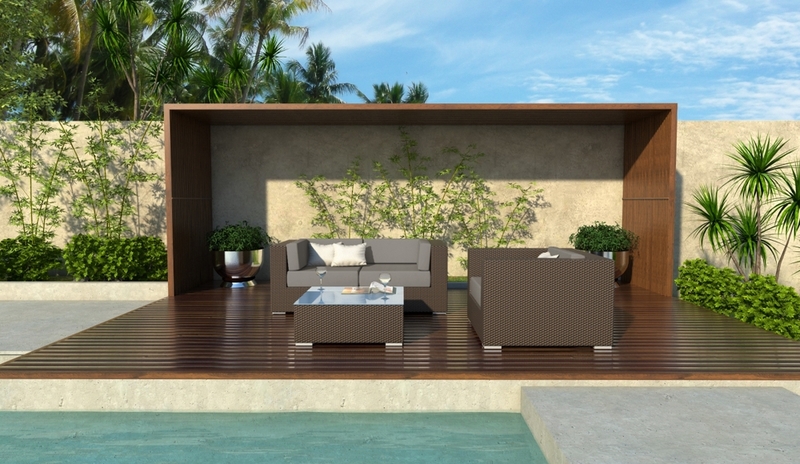 Augusta is a five piece wicker outdoor sectional set that seats three and comes with two wicker coffee tables topped with glass. Augusta is our five piece wicker sectional set that comes with a two person love-seat, a club chair, and two wicker coffee tables topped with tempered glass. All of our sectionals are modular and can be rearranged. Mix and match sets, or add on single pieces to make your sectional truly yours. Expedited/Guaranteed Shipping (2 - 3 business days) is available for $150 extra. Please call for expedited shipping.